The Churches of Chiloé are a group of churches located in the Chiloé Archipelago within Chile, constructed from native wood, in a fusion of indigenous and European cultural traditions. The ecclesiastical architecture used in the Churches of Chiloé stems from the tradition from the Jesuit Peripatetic Mission of the 17th and 18th centuries, and later in 19th century carried on by the Franciscans. The Churches of Chiloé exemplify the blending of nature and architecture, with the use of natural materials to remain in harmony with the natural landscapes. Jesuit missionaries of the Society of Jesus arrived in the Chiloé Archipelago around 1608, sending members to evangelize to the native people and eventually began constructing these churches for its missionaries. 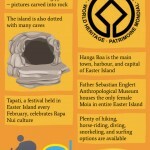 The structures the Jesuits built were in the tradition of the indigenous people, using materials and methods found in the region, whose people were farmers and fishermen. The Jesuits were expelled in 1767, and the missionary work was taken over by the Franciscan order, until colonial rule ended. Over 100 of these churches were constructed, though only 50 to 60 remain today. The churches are built along the shores of Chiloé Archipelago, which stretches from Chacao Canal to the Corcovado Gulf. The architecture is remarkable for the porticos, tower façades, and hints of Classical, Renaissance, and Baroque architectural styles, incorporating the indigenous traditions as well. 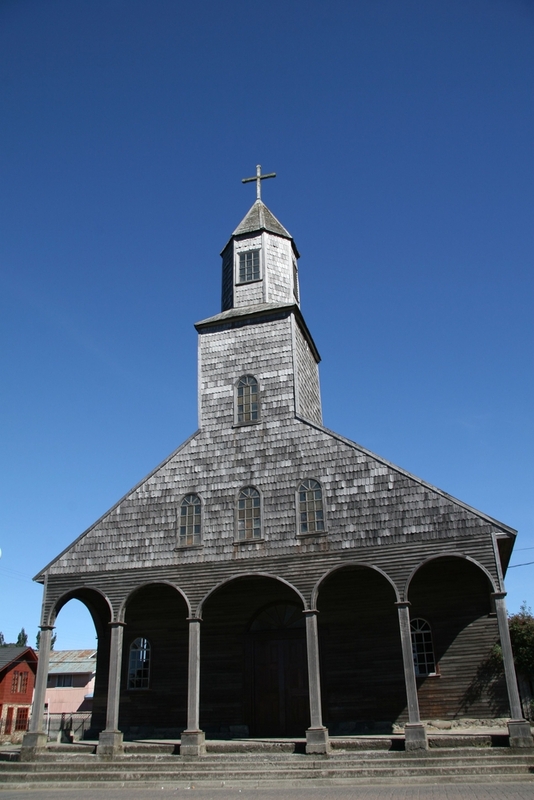 Over 100 churches were built by the Jesuits in Chiloé by the 19th century – 14 of which remain as the UNESCO World Heritage Site: Achao, Quinchao, Castro, Rilán. Nercón, Aldachildo, Ichuac, Detif, Vilipulli, Chonchi, Tenaún, Colo, San Juan, and Dalcahue. The churches vary in height, but most are two or three stories high. The size of the churches vary as well, but they are generally longer than they are wide, with three aisles in the traditional basilican plan. 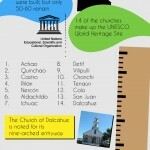 The Church of Dalcahue is noted for its nine-arched entryway. The Churches of Chiloé are located on Chiloé Archipelago in Chile, stretching from Chacao Canal to the Corcovado Gulf. The Chiloé Archipelago enjoys a temperate island climate, with high humidity but cool temperatures and frequent rain. 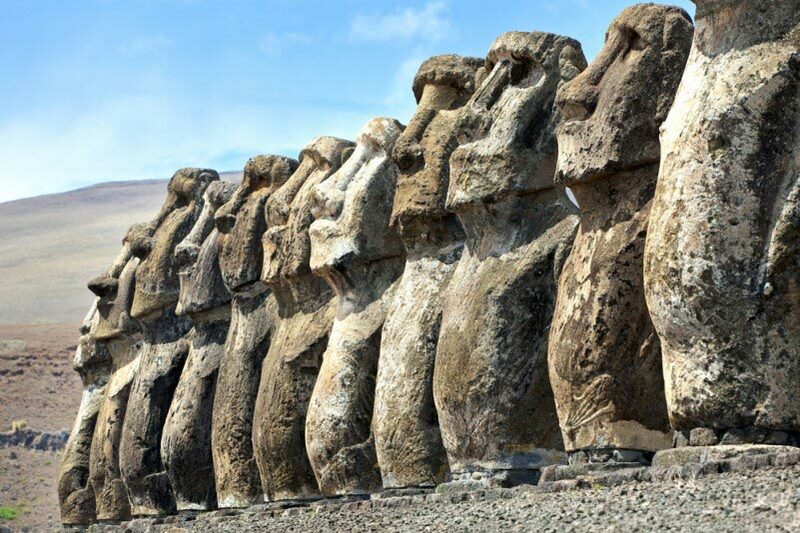 Chile is located in southern South America, and has reversed seasons from much of the world, with summer lasting from December to February, when there may be less rain.